When speaking Luxembourgish do you feel like making a lot of pauses and having a lot of hesitations? But your biggest wish is to speak naturally and fluently? But this is too difficult, or I don’t know enough words, or I need to think in my native language and translate. Ho do I learn to think in Luxembourgish? for example when you get up: Zänn botzen, Kaffi drénken, op d’Aarbecht goen, mam Bus fueren … then at work: de Computer umaachen, d’Maile(n) liesen, bei e(n) Client goen, un engem Projet schaffen … And so on during your day. So try this exercise TODAY! When you have your lunchbreak: Ech maachen elo meng Mëttespaus, ech ginn an d’Kantin, ech iessen e(n) Bréitchen um Büro …. When you are at home in the evening: Ech kachen d’Owesiessen fir meng Famill, ech ginn Tennis spillen, ech e(n) kucken e(n) bëssen d’Tëlee …No matter if the sentences are simple. The most important part is to practice and develop the habit of thinking in complete sentences. On this level you imagine using Luxembourgish for everything you need to do. For example: How would you order something to drink in a coffeeshop or how would you introduce yourself to a new person …If during this exercise you do not know how to say something, check your dictionary later or ask a Luxembourgish friend or your teacher or language coach. 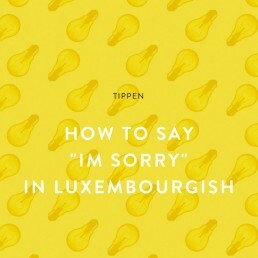 If you do this kind of mental practice regularly, you will develop the ability to use Luxembourgish in any everyday situation. I hope that you can see that you do not need to be super advanced to learn to think in Luxembourgish. Try one of these 3 levels already TODAY. 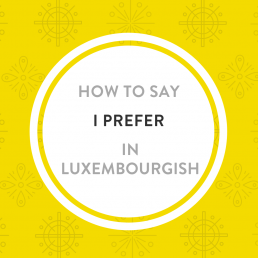 Thinking in Luxembourgish is a great tip for increasing your fluency. It makes you feel more confident and helps you speak more easily with less hesitations! And the good news is that the vast majority of native speakers don’t care. Yes, believe me. We Luxembourgers expect second language learners to have an accent and their minor mistakes with articles or verb endings or sentence construction don’t make them unintelligible. Communication still happens with ease and that’s the most important thing! So, now you have no excuse any more. 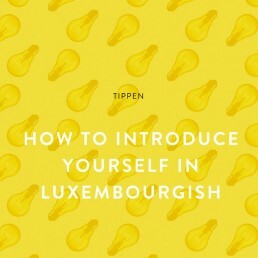 Start practicing your Luxembourgish right now! Still hesitating? Let me help you with my Conversation coaching lessons. Learn with me. Now what about you? What experience did you make so far? Do you have any tricks that you would like to share? I would love to hear about it in the comments.